In 1946: A young entrepreneur, K.M.Mammen Mappillai, opened a small toy balloon manufacturing unit in a shed at Tiruvottiyur, Madras. In 1949: Although the factory was just a small shed without any machines, a variety of products, ranging from balloons and latex-cast squeaking toys to industrial gloves and contraceptives, were produced. 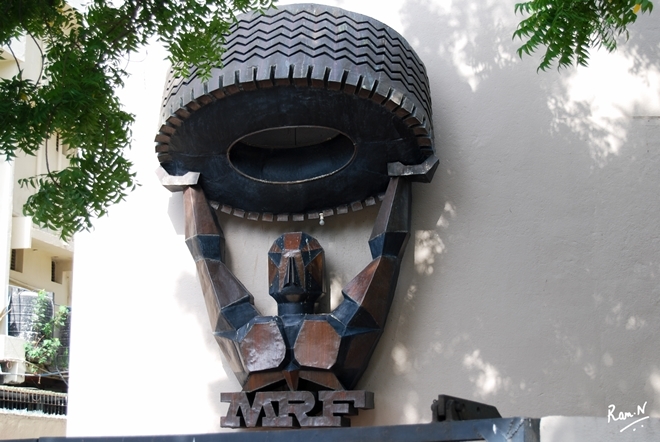 During this time, MRF established its first office at 334, Thambu Chetty Street, Madras (now Chennai), Tamil Nadu, India. In 1952: MRF ventured into the manufacture of tread rubber. And with that, the first machine, a rubber mill, was installed at the factory. This is the HQ building of MRF in Chennai Greame’s Road.